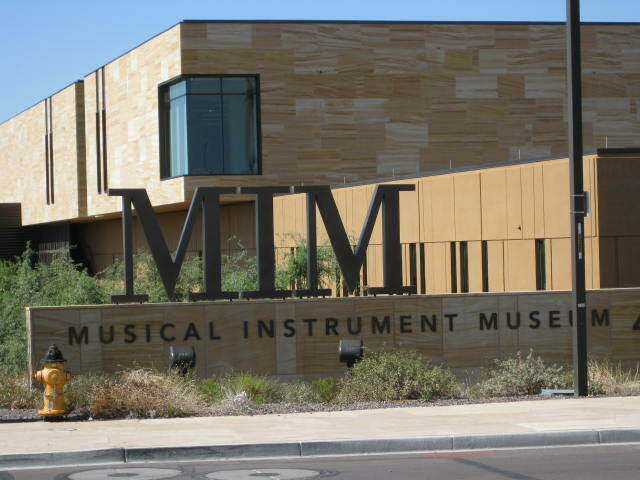 When I first walked into the Musical Instrument Museum in Phoenix, the first thing I noticed was how quiet the place was. That was not what I expected to experience in a museum dedicated to music. After purchasing my ticket I was handed a set of head phones and a small pack to attach to my belt, along with a brochure. I was fascinated, so I quickly stuffed the brochure in my pocket and put on the headphones to start what I thought would be an audio tour. Walking into the first room I realized I was unable to find a play button, and almost went back to the information desk when my mom tapped me on the shoulder to come closer to an exhibit. I was in the African hand piano room. Clear, metallic tones suddenly sprang into my ears, as a video of men playing these small hand pianos began in front of me. I stepped away from the exhibit and the music stopped. Oh, now I get it. Yeah, I was a bit slow on the uptake, but I finally realized that the awesome headphone pack plays music automatically when you get close enough to an exhibit. If it didn’t, the museum would be nothing but loud and chaotic noise. Instead, each area becomes its own defined note, symphony, language, culture, and time period. Walking from African hand pianos to the next room, we were treated to an array of modern instruments played by retro and current artists. The poetic strains of John Denver slowly transitioned to Taylor Swift, who in turn relinquished sound to Elvis. Walking through this part of the museum is like having your iPod on shuffle. Some exhibits showcased loaned or donated instruments and stage costumes. Most had video to watch while you listened. One of my favorite highlights was a drum from the 2008 Summer Olympic Games in China. Through another doorway was a room filled with all kinds of organs. Pipe organs, hand crank organs, a player piano and small children’s toy organs. Each instrument was accompanied by a sound and a story, every one unique. Next door to this exhibit is a “hands on” room where guests can experience what it’s like to play many different types of instruments. This is the perfect room for young children to get out some energy and learn about percussion. The second floor of the MIM offers a whole new experience, with each room representing countries from different parts of the world. From Europe to Asia to North America, ancient instruments are brought to life in a very fun and interactive way. Looking around, I often saw people swaying along with the Sound of Music in Switzerland, or tapping their feet to a lively American Big Band. It’s easy to get swept along with the music and start to dance, until you realize no one else can hear what you are hearing. Then you feel silly. One of the most unique areas is the Native American exhibit. Guests can listen to the chanting lyrics in rarely heard rich native languages, while watching the accompanying traditional dances. The brightly feathered costumes and dusty feet truly submerge the viewer into some local Arizona culture. 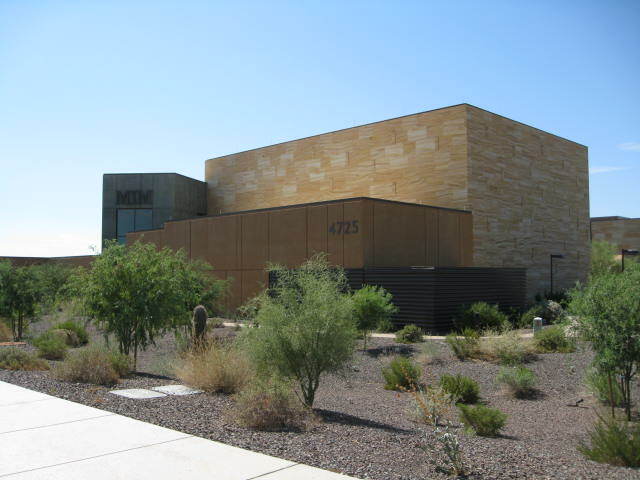 Whether you are a visitor to the state or long-time resident, the MIM is worth the trip. The architecture of the building itself is impressive. There is also a small courtyard outside where the museum often hosts many cultured musical talents. It’s the perfect place to grab a snack from the café and relax on the patio while enjoying artists and styles that you may never hear on the radio. 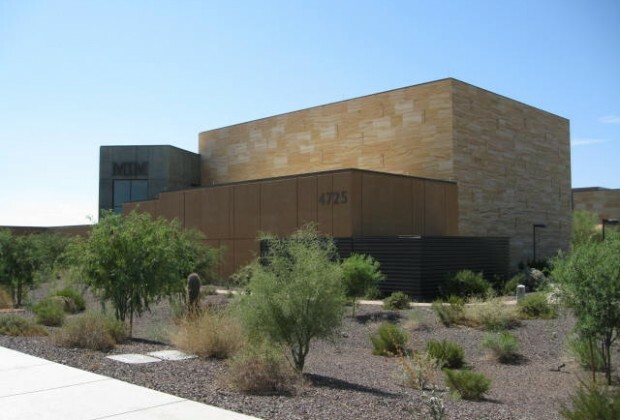 Visiting the MIM was more than an ordinary museum walk. It was an interactive experience that deftly engaged all the senses, one that I truly enjoyed. 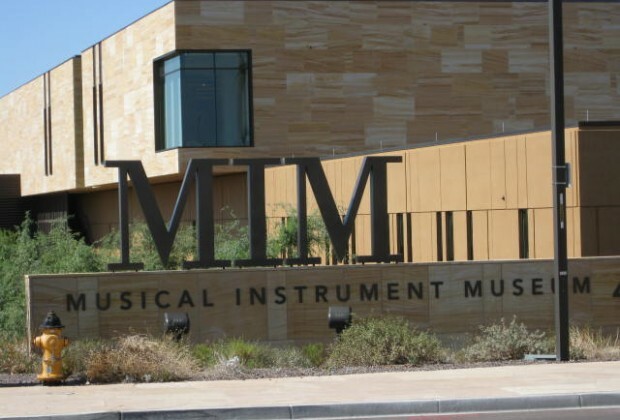 For more information, visit www.mim.org.